Happy Memorial Day from all of us at Gold’s Gym The Fan! 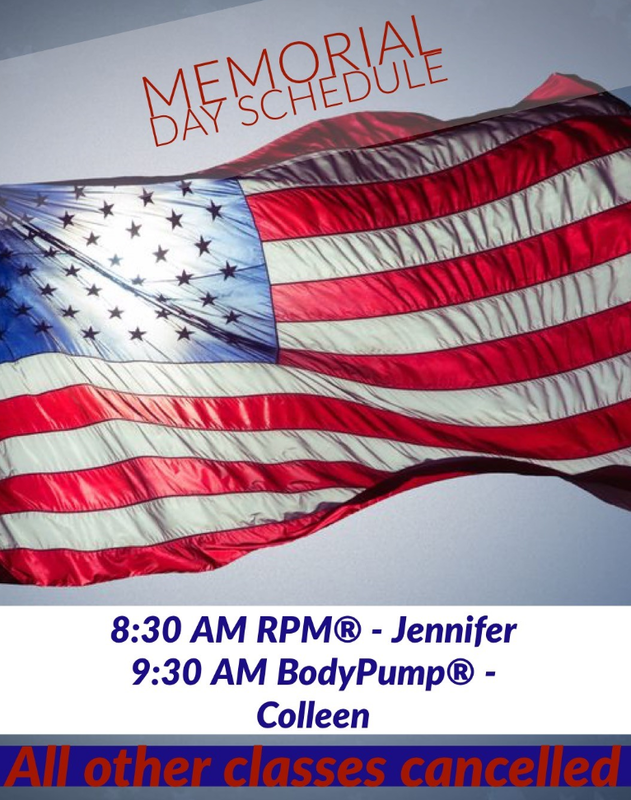 Please make note that we will be having a special group fitness class schedule for this coming Monday, May 28th, 2018. All classes will resume as normal the following day. Thank you everyone and enjoy your holiday!